Water damage can wreak havoc on a home. Not only can water damage cause mold, it can compromise the structure of your home. 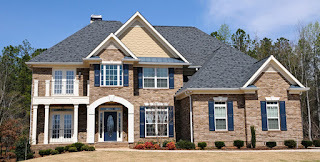 Choosing gutters isn’t the first thing most people think of when building or remodeling a home. But knowing the damage poor gutters can cause, they are one of the most important investments you can make to protect your home. It’s important to choose the right size gutters and have them professionally installed. The proper choice and installation of rain gutters helps draw water away from your home, saving thousands of dollars in potential future repairs. In addition, installing a gutter drain system can help further draw water from your home. Gutters are available in a variety of colors, styles, and sizes (5" and 6"). With today’s design options, gutters can enhance the look of your home. ABS has been installing gutters since 1998. 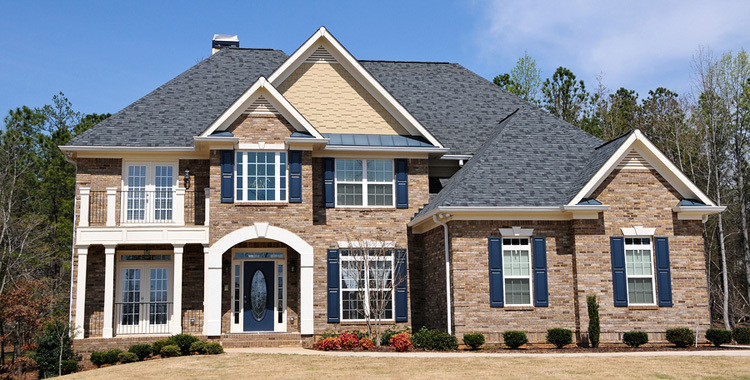 Our gutter division delivers the same quality and attention to detail as for our insulation clients. We have knowledge of and experience in every aspect of rain gutter selection, customization and installation. Contact our office to discuss your project or schedule a free estimate. If you want to save money on your energy bills and increase the comfort of your home, start at the top. Did you know that 70% of energy loss is up, not out? By increasing the efficiency of your attic, a homeowner can begin to see a reduction in energy bills almost immediately. Energy efficiency is about more than insulation. An efficient attic includes air sealing. According to the Department of Energy, having your home air sealed by a qualified contractor can save up to 20% on heating and cooling costs. Air sealing prevents airflow. 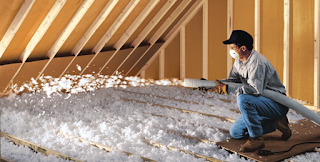 Proper air sealing of a home prevents airflow between a home and attic, helping heated or cooled air stay inside the home by closing the gaps that leak air. Think of air sealing like closing a window before running air conditioning – why condition the interior air if you are going to let it sneak out through a gap in your home’s envelope? Your home may have leaks that are easily to see through a simple visual inspection. Your home also has many air leaks that can’t be easily seen. These are commonly found around light boxes, plumbing stacks, soffit drops, basement box sills and more. Having your home professionally air sealed and adding proper mechanical ventilation can help keep conditioned air in, pests and allergens out and ensure your home has proper air exchange. Many times when upgrading insulation in existing homes, blow in fiberglass is added on top of existing insulation. This adds R-value to the home and creates a fresh new blanket of protection. 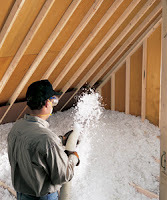 Even newer homes can benefit from upgraded insulation. As building codes increase, nearly all homes need more insulation to ensure they are meeting current standards. 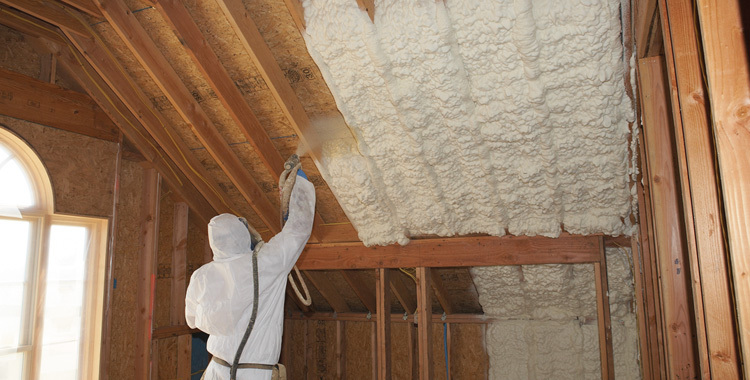 Spray foam insulates your home similar to common insulation products like fiberglass or cellulose. But spray foam does more... it insulates and seals air leaks all in one process. 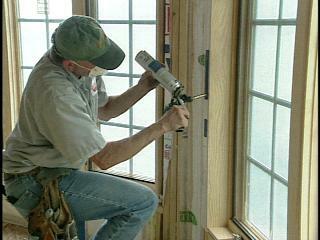 Air sealing will block your interior air from escaping through your home's cracks and crevices. Penetration points can be so tiny they may not be visible to the naked eye. The penetration points are a result of the construction process including installation of electrical wires, can lights, duct work, attic access doors and plumbing stacks. Sealing air leaks will keep your costly conditioned air inside your home. WHY INVEST IN SPRAY FOAM INSULATION? Better indoor air quality. Sealing air leaks and adding the correct ventilation to your home can improve your interior air quality. Air leakage (unwanted outside air that enters your home through cracks and opening) is not the same as ventilation. Sealed leaks and proper ventilation will create a healthier environment inside your home. Prevention of contaminants. 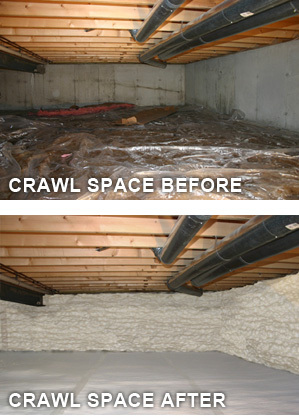 If your home has a crawl space, installing foam insulation can drastically improve your indoor air quality. Air moves up from your crawl space as your home naturally breathes. Along with the air comes contaminants such as mold and pest debris. A sealed crawl space repels these toxins. Less wear and tear on your HVAC. Proper insulation and air sealing will lessen wear and tear on your HVAC system. If you are building a new home, the correct insulation and air sealing may mean you can install a smaller HVAC system. 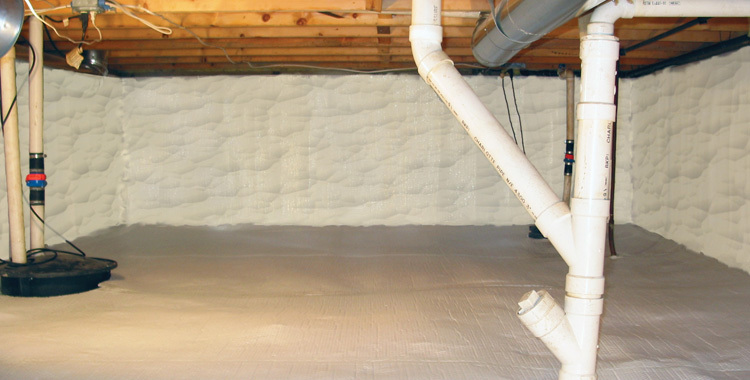 Spray foam insulation is a great solution for a metal building that needs insulation. It is installed to the exterior of the building and controls your interior temperature. Spray foam can also defend your metal building against high winds by increasing the structural strength. You may think spray foam insulation is only for insulating buildings, but we have installed spray foam insulation in a variety of applications including sprinter vans that require a controlled temperature and trailers. If you think it can’t be done, call us. We can help! 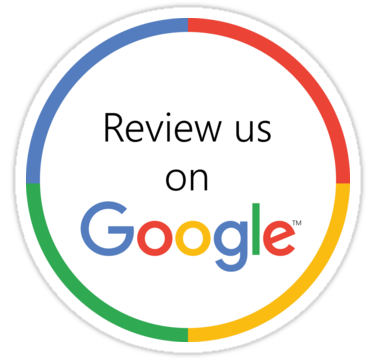 Contact us to schedule your free spray foam insulation estimate or if you have any questions.